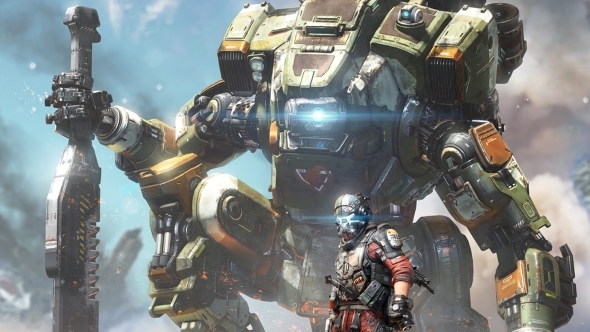 In an earnings call for this quarter, EA say that Titanfall developer Respawn Entertainment have more than one game in development, and they are all supposed to launch before the end of 2019. We already knew of one of these games, Star Wars title Jedi: Fallen Order, but any other games have been kept under wraps – and may very well be Titanfall 3. In the call, EA CEO Andrew Wilson stated that, “across multiple studios, we have new projects underway, including games from Respawn that are slated to launch by next holiday season.” It’s been confirmed that it’s “games” plural, so Respawn have at least one more title in development. While this isn’t confirmation that Titanfall 3 is the other game the studio has in production, it seems the most likely – despite Titanfall 2 underperforming in sales. It also seems unlikely that we’ll be getting another Battlefield next year, with Battlefield V due out next month, so if Titanfall 3 is happening it should avoid the release date issue that caused such a problem for the last game. The news that EA are planning the Star Wars Jedi: Fallen Order release date for 2019 comes as something of a surprise too. The publisher rather casually announced it at E3 in June this year to little fanfare, without a teaser trailer, concept art, or even a logo. Reportedly the game is supposed to play in a similar fashion to Star Wars: The Force Unleashed, except “without the Mountain Dew qualities,” but if EA are intending to release Respawn’s Star Wars Jedi: Fallen Order as soon as holiday 2019, we may well see a proper announcement of the game soon – and the same goes for Titanfall 3, or whatever other game Respawn have cooking up.